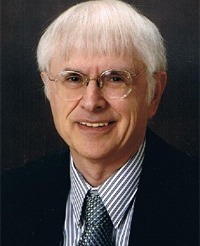 Freelance author James Perloff has contributed to The New American magazine since 1986. His first book, The Shadows of Power, an expose of private influence on American foreign policy, has sold over 100,000 copies. His most recent books, Tornado in a Junkyard and The Case Against Darwin, are layman’s-level discussions of the growing scientific case against Darwin’s theory of evolution. Mr. Perloff has been a guest on well over 100 radio and television programs to discuss both history and the creation-evolution debate, including such forums as Beverly LaHaye Today, Today’s Issues (American Family Association), and WorldNetDaily Report. Noted in Who’s Who in America, Mr. Perloff is also composer of the politically incorrect music CD Freedom Shall Return. In Creation vs. Evolution, Mr. Perloff reviews the powerful scientific evidence that discredits Darwin’s theory of evolution. In his youth, Mr. Perloff was an atheist as a direct result of evolutionary teachings, so he knows just how vital this topic is to American society. In The Shadows of Power, Mr. Perloff discusses the conspiracy that, directing U.S. foreign policy from behind the scenes, seeks to create a one-world government. This lecture embraces events as diverse as the Pearl Harbor cover-up, the founding of the Federal Reserve, the disastrous war in Vietnam, and the scheme to turn North America into a European-style union. Mr. Perloff’s popular lectures are loaded with visual images, spiced with humor, and easy to understand. As a guest speaker at locales ranging from the island nation of Barbados to New England’s Inside Out Soul Festival, venues for his lectures have included churches, colleges, libraries, youth groups, civic groups and home school organizations. James Perloff lives in Burlington, Mass., with his wife Wei-Hsin and his son David.